Ancient Cliff Houses were used as a shelter or house style that were inhabited by the ancestors of the Pueblo Native Indian tribes called the Anasazi. The ruins of cliff houses are can be found in Colorado, New Mexico, Arizona, Utah and also in parts of northern Mexico. The structures ranged in size from one room storage units to cliff house villages of more than 150 rooms. 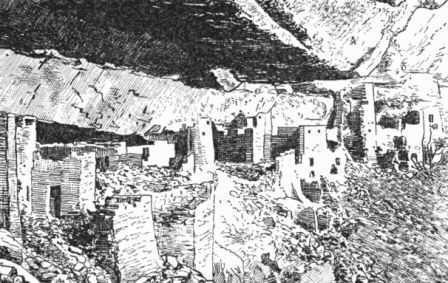 The Anasazi cliff houses were built between the 11th and the 14th centuries. Learn about the structure and the interior of the Cliff Houses with pictures and images together with facts and information about the people who lived in them.